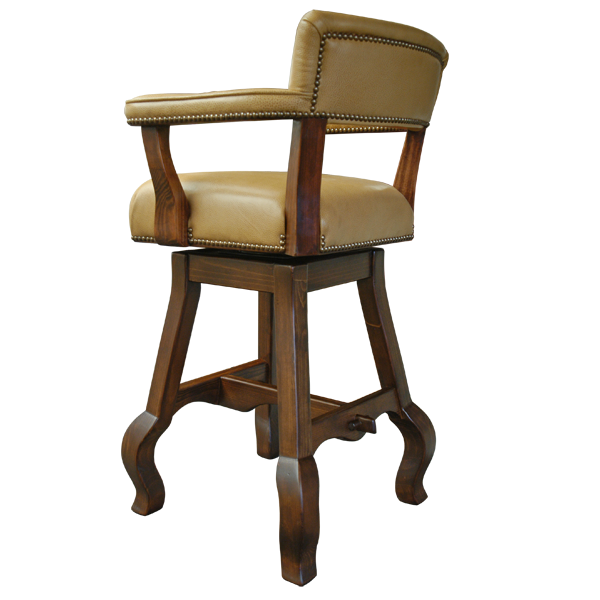 This handcrafted bar stool has a great balance of comfort and design. 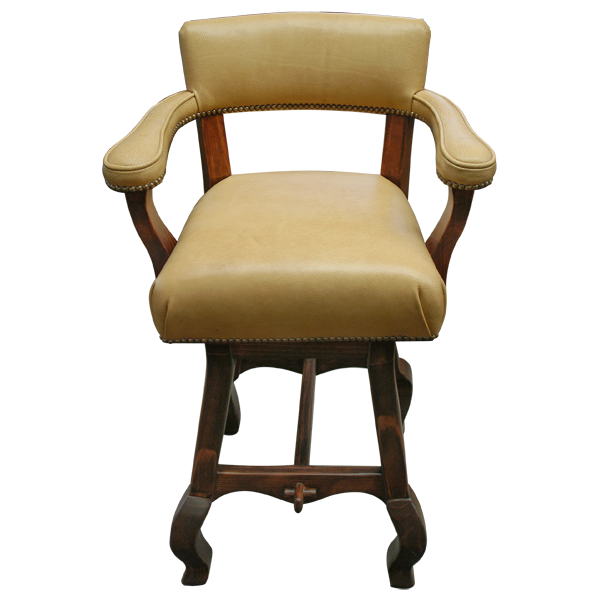 The contrast of the rich beige colored full grain leather and the beautifully finished wood makes this bar stool special. The seat, seat back, and armrest are upholstered with beautiful beige colored genuine leather, but we have many other colors and textures of full grain leather and fine fabric available. The custom wood frame is made from the best wood available, and the full grain leather upholstery is hand tacked to the wood frame with the greatest care. 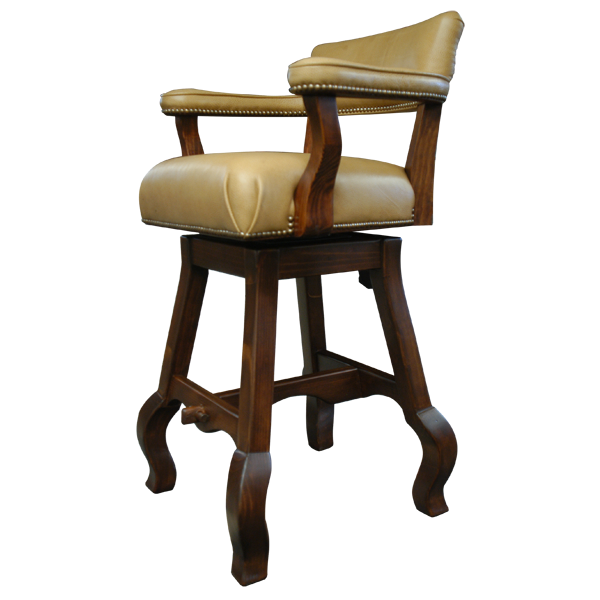 The bar stool has elegantly designed legs joined by a midway “H” stretcher, and hand carved scrolled feet. The bar stool swivels 180° and is 100% customizable.